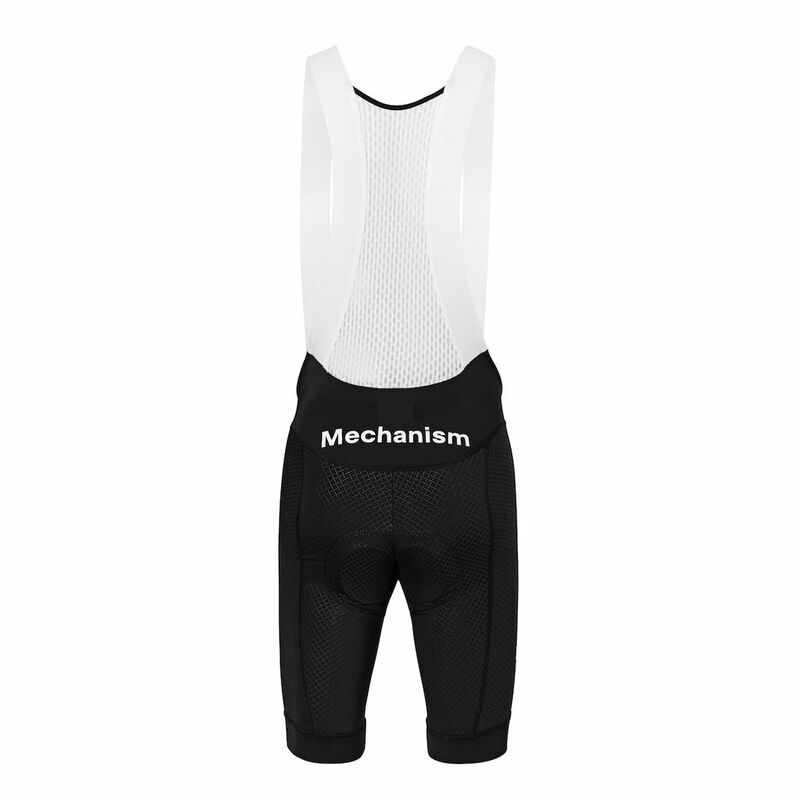 Another level of detail has been added to the Mechanism bibs and as a result the bibs now feature a fully dyed fabric throughout with our proprietary design and detailed textile definitions on both crotch and side panels. 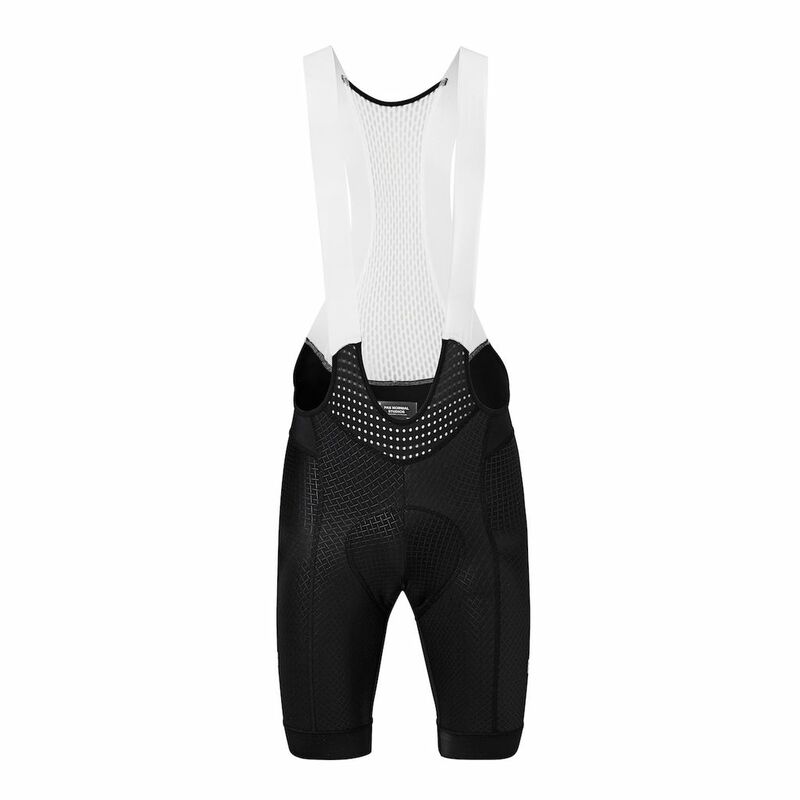 Perfectly fitted bib straps provide comfort on the longest rides and the optimized pad offers the best possible support when racing or training. 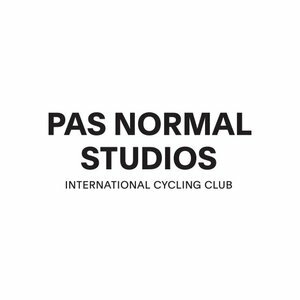 The Mechanism bibs are designed for uncompromised performance with that clean, subtle Pas Normal Studios look. 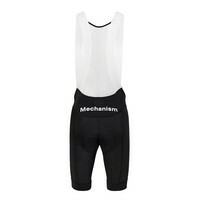 Side panels & crotch: 82% Polyamid, 18% elastan.